Show Me Your Mumu top (similar here). 7 For All Mankind jeans (similar here). Alexander Wang shoes (and similar here). this is very jet setter! I love this look! Love the title of this post! Great outfit to wear when traveling! Loving the photos!! Great look! I saw this one your insta and I fell inlove straight! SO DOPE! i love the shot with your legs and the word stop, the lighting is so nice! 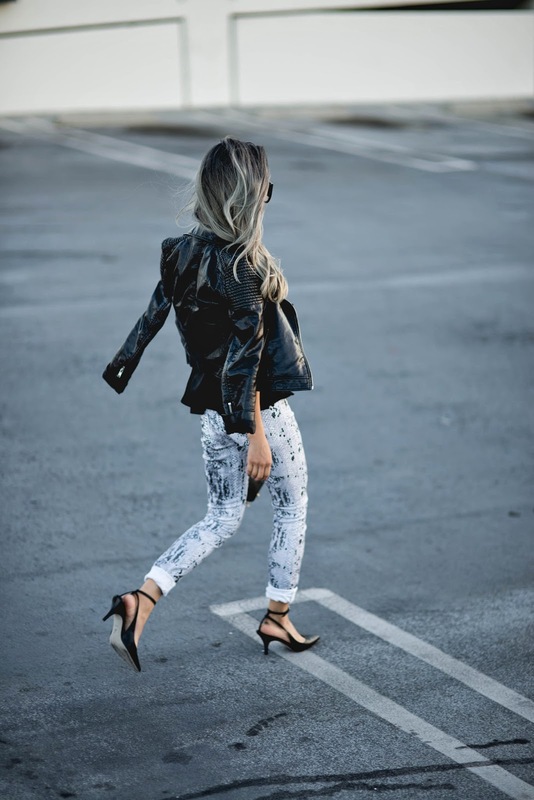 I'm obsessed with your leather jacket paired with the white/gray snakeskin print pants! Very cool dress! Love the shoes and the little black jacket!